This recently completed townhouse by Canny projects offers quality fixtures and finishes and an abundance of natural light. 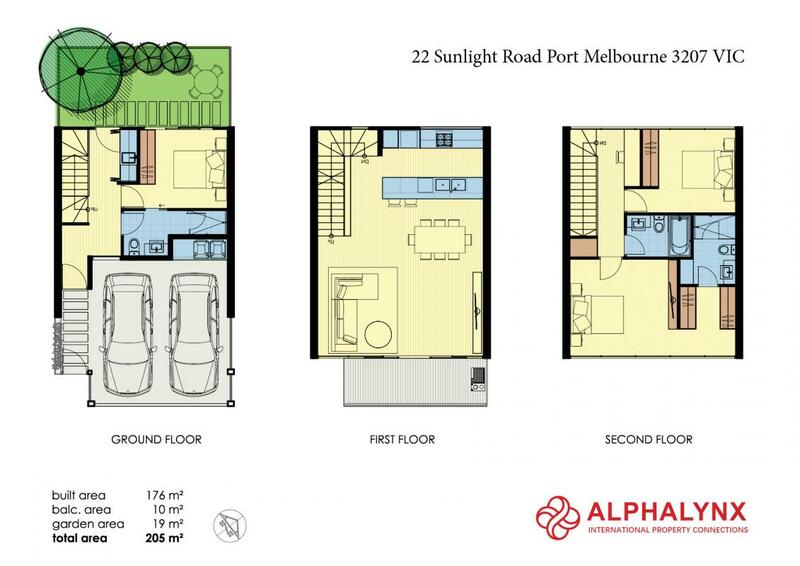 Over three levels all bedrooms and living areas have reverse cycle heating and cooling. Bedroom 1 with Ensuite and fitted robe. European laundry and access to landscaped rear courtyard garden. Designer sleek modern kitchen with stone bench tops with breakfast bar. SMEG 90cm cooktop and oven. The kitchen opens to very spacious living/dining room with timber floors. On this level is also a study nook with built in cabinetry. To complete this level is a spacious timber deck balcony. Main bedroom with walk in robe and Ensuite facilities. 3rd bedroom with fitted robes. A family sized bathroom with timber cabinetry and bath.